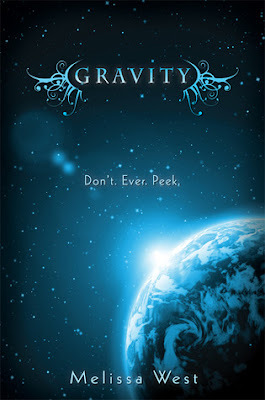 Two Chicks On Books: Blog Tour- Gravity by Melissa West Jackson Excerpt and a Giveaway! Blog Tour- Gravity by Melissa West Jackson Excerpt and a Giveaway! Ok so just a little excited here!!!!! 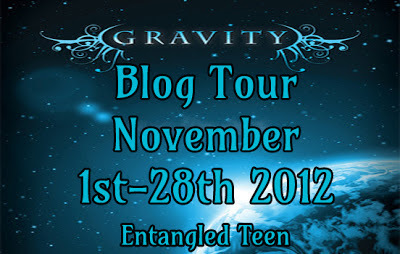 Welcome to my stop on the Gravity Blog Tour! Today I have a scene from the smoking hawt Jackson the alien love interest of the story who stole my heart!!! Oh and make sure to enter to win a eBook below!!! Haven’t heard of Gravity yet? Check this out! Now on to Jackson’s scene! Topic: A scene in GRAVITY from Jackson’s POV – I didn’t see anything. I step into her room, still feeling a little high from earlier. If Kenzie hadn’t interrupted, would I have…? No. Ari can’t stand me, but sometimes I think…I push the thought from my mind. She’s naked. Like, naked-naked. Before either of us can respond, my eyes scan slowly down her body, lingering on each delicate curve, and then back to her face, which looks as though she’s deciding whether to deck me now or put on clothes first. “Get out of here!” she screams. Finally my brain defrosts and I shut my eyes and spin around, fighting the urge to laugh. Ms. Calm and Collected is definitely no longer calm. K now fill out the Rafflecopter because I know you want to read it! Since this is an eBook it's open internationally!!!!! AND DARN THAT POV, HOW COULD YOUUUUU CUT AT THAT PART. OHH MYYY, THAT'S TORTURE! I've been reading some interesting things about this book. But I'm loving the cover! I loved that scene. It's nice to hear it from his POV!! my daughter is soooo wanting to read this book!!! Makes me want to read it even more now. OMG!! I'm totally screaming!! I totally need to read this book! Umm. . . pretty badly. I have been keeping my eye on this book for some time. I'm thinking I need to read this book and find out more about this Jackson fellow...WANT TO READ NOW! I want to read it SO BAD! It is a great scene thank you. I have been dying to read this book since I first read the description of it! I love the POV of the excerpt. I want to read it so badly! I agree with all the others - I've been wanting to read this book since I first heard about it - I think it was a cover reveal and it was MONTHS ago!! And I am not deterred at all after having read that excerpt ;-) Really looking forward to reading it, thanks for the chance to win! I didn't see the cover reveal but wow the cover is really pretty. And I really love alien books. Even though I haven't heard *too much* about this one, it sounds like something I'd try. Thanks for the chance!